Well, I can’t deny I am still influenced by our holiday in Ireland. Otherwise what happened during this year’s World Matchplay never would have reminded me of Finnegans Wake – not only the famous Irish ballad but also James Joyce’s difficult to understand last work, in which Tim Finnegan’s rise, fall and rise again are a metaphor for the rise, fall and rise again of man. As in years past I again traveled to Blackpool for the World Matchplay. Blackpool is no beauty to begin with and to be sure it looked even more run down this year, although the weather might have played a role. On the day before the tournament started it was pouring rain and windy and temperature was low. Never would I have thought how right I would be! 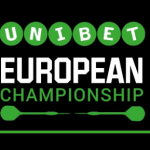 A really entertaining and close match was the one between Benito van de Pas and Daryl Gurney – thrilling to the end. The best player of the first round was Cristo Reyes who demolished Robert Thornton 10-3. There were a few of these “demolishing” matches: Mensur Suljovic demolished John Henderson, Michael van Gerwen demolished Stephen Bunting, Steve West demolished Michael Smith and Phil Taylor had no problem getting rid of Gerwyn Price. Quite astonishing, what Taylor helped to win, were his clinical doubles – not exactly an aspect Taylor has excelled in recently. My thoughts after the first round were that it was a quite good tournament, an interesting mixture of upcoming and already established players. The round had not been really high class but it showed Taylor to be very focused and well prepared. Those players who had traveled to Saigon and Las Vegas in the weeks before Blackpool all looked a tired and on a livewire – especially Wade, Anderson and Wright. It seemed Raymond van Barneveld was in a relaxed mood, perhaps too relaxed, and Michael van Gerwen just was presumptuous and very certain of success. The ballroom was well filled, often sold out, and due to the weather it was not as hot as in the years before, more comfortable. However, on stage it was different – and “the heat on stage” often appeared in the post-match interviews. A lot of the second round matches were rather close affairs although only one went into overtime – the match between Dave Chisnall and Alan Norris. Only two matches were “demolishing” matches: Michael van Gerwen defeated Simon Whitlock 11-3 and Phil Taylor won with the same score against Raymond van Barneveld! Barney was another of the players who had been in Saigon and Las Vegas shortly before the tournament started and he never really got going in the match against his long time rival. 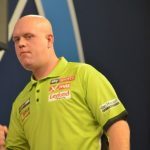 van Gerwen’s boastfulness was so out of control that he even sent his friend Vincent van der Voort (who at the time was playing Simon Whitlock) a message during the first match break telling him he would dispatch Whitlock in no time. What a stupid thing to do. And it was equally stupid for van der Voort to tell everybody about it. And Taylor – he looked just like the old Taylor… sure on his doubles, good with his scoring, and his old rival van Barneveld was all smiles – but completely out of sorts and seemed to have more or less given up before he came in stage. So after two more or less easy wins for Taylor and two easy wins for van Gerwen, the quarter finals would bring the big clash everybody had been waiting for but a lot didn’t dare to hope for! In some ways it felt like the crowd was only interested in this one match! It was the last of the quarterfinals and both Taylor and van Gerwen had a day off before it, time to relax and to prepare. I had already left Blackpool by this time and watched from my sofa at home. The first three quarterfinal matches were close at the beginning but somewhere in the middle of each one of the players managed to pull away. But the matches were not decided at that point – Gurney and Wright both came back, turned the matches around and won against Mensur Suljovic and Darren Webster. Only Adrian Lewis managed to pull away and win against Alan Norris, although it was definitely not an easy win. The crowd was behind Taylor from the beginning – van Gerwen even got some boos. 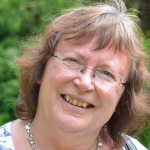 And then something strange happened – van Gerwen couldn’t hit his doubles but Taylor did and the match developed, despite van Gerwen’s otherwise good performance, into a rather one-sided affair. 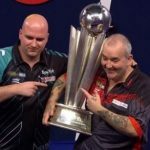 So often van Gerwen had applauded Taylor as the greatest player of all times but now he himself was the best – he was the player to beat. But it just didn’t happen for him in the quarterfinals of this year’s World Matchplay. I am not really one pf Phil Taylor’s biggest fans but this was impressive and one can only admire the Power for it. Well, even after this I still was not quite sure whether Taylor would win the tournament. He might tire or lose his focus or determination. He didn’t – as we all know by now. Taylor defeated Adrian Lewis and Peter Wright in the same consistent, very focused and determined way and won his 16th World Matchplay title, finishing on double 16. Not a second do I doubt even the double 16 was planned! Taylor might be older, perhaps less focused sometimes, probably doesn’t enjoy it as much, may feel his age with all the travel – but when he is determined he usually has a plan and strategy and when this is the case he’s still far above most other players who often don’t similarly prepare. 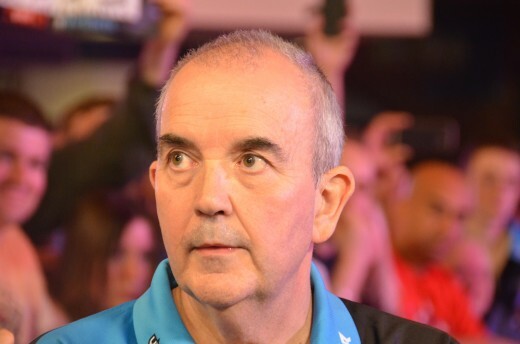 And there is something else a lot of players – including Michael van Gerwen – can learn from Phil Taylor: how to change a disappointing and losing “it’s just not happening for me” match into a satisfying and winning “it may not have been brilliant but I did my job” experience. I am not sure whether after this win Taylor has any specific plans for his last few months and his last few tournaments in the PDC. I tend to think he might be happy now, content, and just will see what happens day by day. Taylor once again, and possibly for the last time, impressed us with a brilliant tournament performance. I enjoyed it very much. Yes, Phil Taylor he showed he is no more “dead” than Tim Finnegan was in James Joyce’s Finnegans Wake or in the Irish ballad – although I very much doubt it was a bottle of whiskey which was scattered over him and woke him up. To be sure we all had “lots of fun” at Taylors Wake!